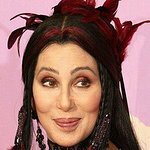 Two lucky fans will get the opportunity meet Academy Award and Grammy Award winning musical legend Cher, by bidding on an amazing package on www.charityfolks.com. The proceeds raised will go to benefit Bette Midler's New York Restoration Project. This once-in-a-lifetime package includes two first row orchestra seats for a Saturday night performance of her Las Vegas show at the Colosseum at Caesars Palace, and the amazing opportunity to meet Cher, get autographs and take photos with her after the show! Don’t live in Las Vegas? That’s not a problem…as JetBlue Airways will provide roundtrip airfare to the winning bidder. With a successful career that has lasted over four decades and a unique ability to entertain millions worldwide, Cher is the epitome of glamour and stardom. The Cher Las Vegas show features hits from the star’s legendary career and features state-of-the-art lighting, special effects, and of course, the ultra-glamorous Cher. The Cher in Las Vegas show also features elaborate costumes, as well as dancers and aerialists who dazzle guests with amazing choreography and daring acrobatic moves. The New York Restoration Project (NYRP) is a non-profit organization dedicated to reclaiming and restoring New York City parks, community gardens and open spaces. NYRP focuses its work in underserved neighborhoods throughout the city’s five boroughs, as well as providing environmental education and programs to thousands of youth and adults. In partnership with the City of New York, NYRP is also leading MillionTreesNYC – an initiative to plant and care for one million new trees throughout New York City’s five boroughs by 2017. Charity Folks is the leading online marketplace for nonprofit fundraising, corporate cause-marketing campaigns and celebrity-driven charity initiatives. Managing thousands of successful charity auctions, Charity Folks has raised millions for nonprofit organizations around the world, all while offering consumers highly-coveted auction lots donated by today’s hottest celebrities, musicians, sports stars, high-profile personalities and top-tier brands. The auction runs until July 27, and can be accessed here.